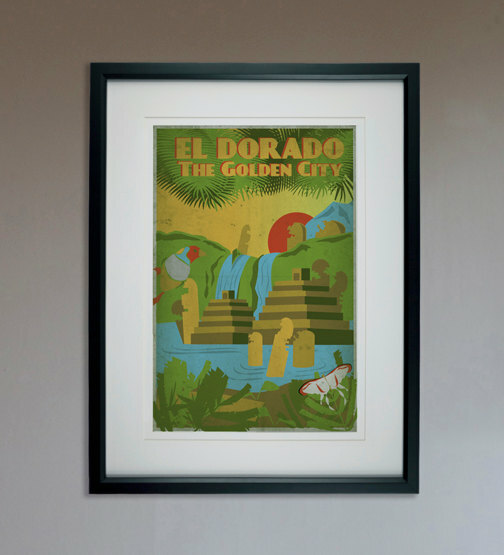 El Dorado, the mysterious city supposedly made entirely of gold and riches. Remember your voyages to this hidden gem, when you pulled back the leaves and vines to find the gleaming city of legend… then dived head long into the gold coins – who could blame you! This travel poster is a throw back to the golden days of travel, when travel posters showed the wild world out there and adventures just waiting to be had.